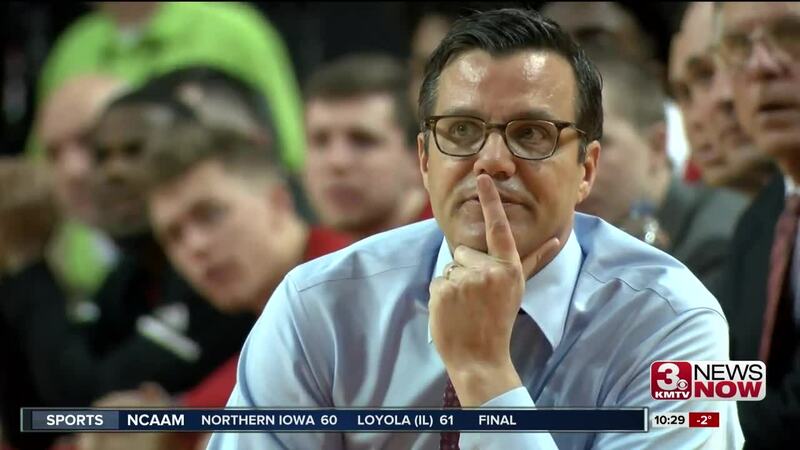 Nebraska Athletic Director Bill Moos discussed the job status of Husker men's basketball coach Tim Miles during his monthly radio segment on Wednesday. LINCOLN, Neb. (KMTV) — On his monthly radio show Wednesday night, Nebraska athletic director Bill Moos discussed his job & the job of Nebraska men's basketball coach Tim Miles. Miles' team is riding a four game losing streak. You can listen to what Moos had to say by clicking on the Husker Sports Network Twitter audio clips below. "Tim Miles is our basketball coach," said Moos. "I support him. It's unfortunate we have some injury things. We need to bounce back & play well & we can still have a very good season. I will not disrupt that. I support Tim and his staff and our great players and everything we're doing right now, and then we'll assess it at the end of the year." Meanwhile, Moos' discussed how his job is going about 15 months now into his role.